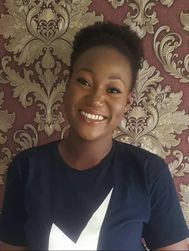 Christtie Jay is a lawyer, freelance writer, poet and spoken word artist who lives in Abuja, Nigeria. In 2017, she self-published her debut book of poetry "At war with love". Few months after she put out her free e-book "All the things you'll never know". Christtie's writings focuses on pain, love, violence and abuse. As she likes to put it "I like to write about things people pretend not to exist".